Last week we did sport facility in school outdoor, Hoersholm, Denmark. We did 30×30 cm and 20×20 cm kerbs for sitting on, but also to run and jump up and down. All kerbs were laid direcly on the grass. To make sure kerbs will always stay together we make the kerbs with the joints and steel wires inside. The ground where we were kerbing was not so even but with the wheel system on the kerbmachine we were able to compensate and the kerbs look great as you can see on the pictures. 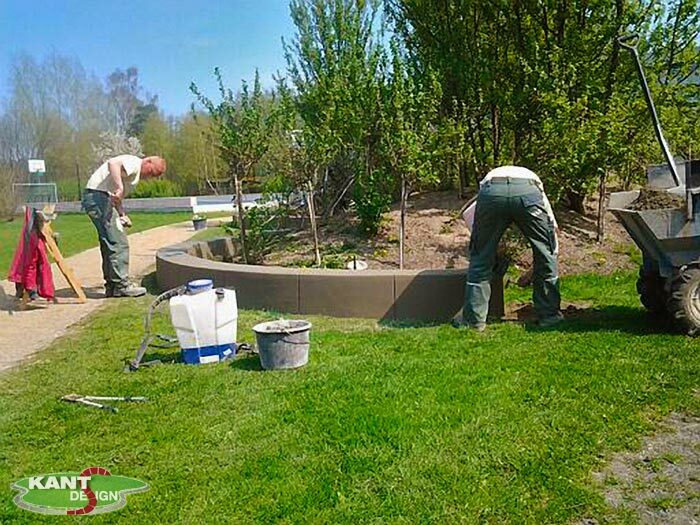 Last year we did a lot of kerbing in school yards: take a look at our gallery. On this picture you can see my workers Jakob and Dan. They are very picky about there work. 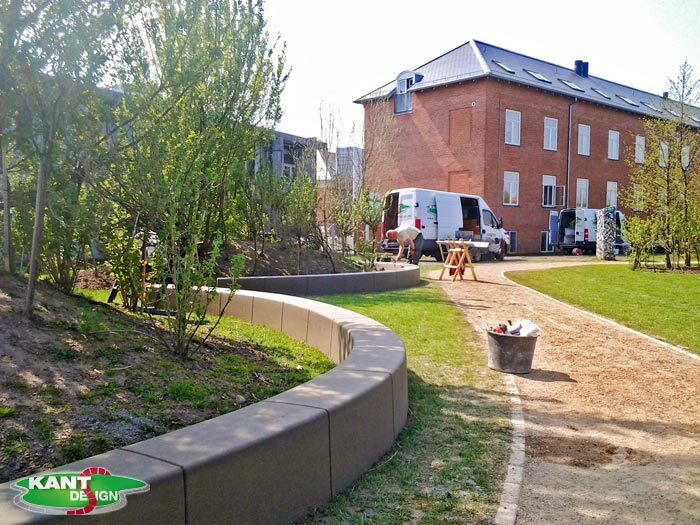 The project was designed by Zornig Landskab and we worked for landscaper Ebbe Dalsgaard.